To support this work, studies using functional Magnetic Resonance Imaging (fMRI) are investigating neural connectivity in the brain for (i) children with normal versus delayed language, and (ii) children from non-tonal (e.g. English) and tonal language backgrounds (e.g. Mandarin Chinese) – the latter of great importance given it is spoken by one-third of the world’s population. Longitudinal and cross-sectional studies are being used to identify subjective (e.g. parent reports on infant vocal production) and objective (e.g. electrophysiological responses) approaches to predicting future speech perception and language abilities in infants. The work will also identify critical skills to target in early speech intervention. 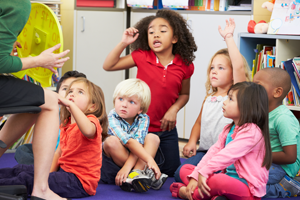 This project will determine what tests are needed to detect and diagnose specific central auditory processing disorders, or hearing disorders, that can impede a child’s language or literacy abilities. This project will determine what auditory processing disorders are caused by early Otitis Media and their possible language, reading and other developmental consequences from having underlying auditory processing deficits. This project is examining how can tinnitus be measured objectively.